As far as travelling was concerned, I was a late starter. Most of the people I knew had been somewhere outside of Australia, even if it was just a package trip to Bali (cue song, Redgum, 1984). Many had done the Europe thing and had come back somehow wiser, more knowing, more confident… more something. Perhaps they acquired all those attributes. How would I know? I had none of them and the only travel I had done was via record sleeves. When Ayres Rock played at the University Union I went on a whim and was blown away. Although I’d heard the radio single ‘Lady Montego’ – and let me tell you, even that title sounded pretty damned exotic to a clumsy suburban boy – the music live was different from anything I had heard previously. 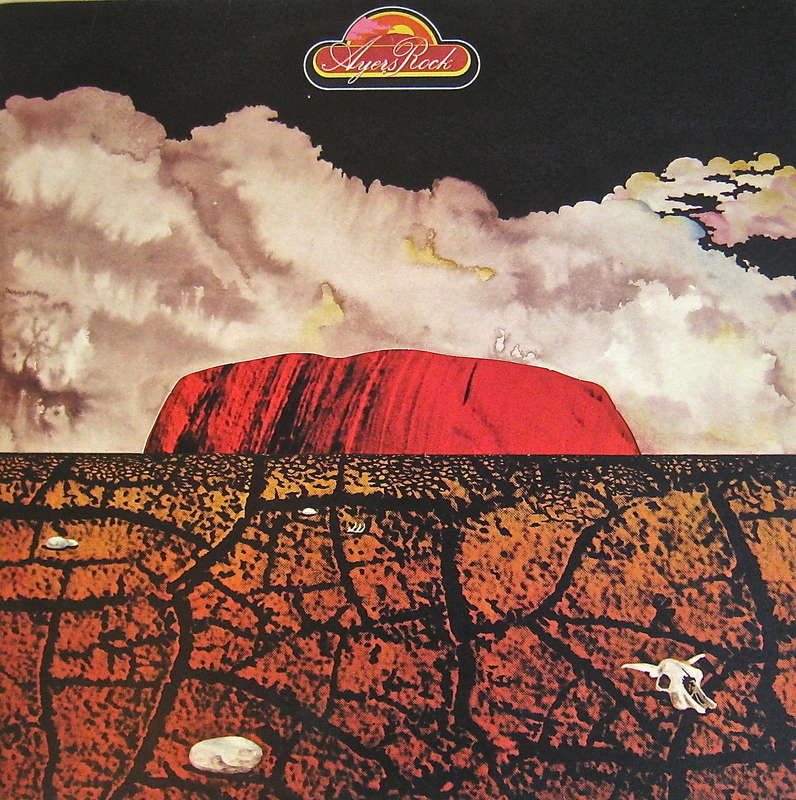 The title track of the album had an otherworldly feel – but an Australian otherworldly feel. This was new, this was special. Then there was this long, loping piece that it took me several years to identify as a Weather Report composition and that lead me off in yet another musical direction. But that’s another story. After the concert I immediately sought out the LP. Being a penurious student, I got it second-hand. It was probably the first cover that shouted a sense of place to me. 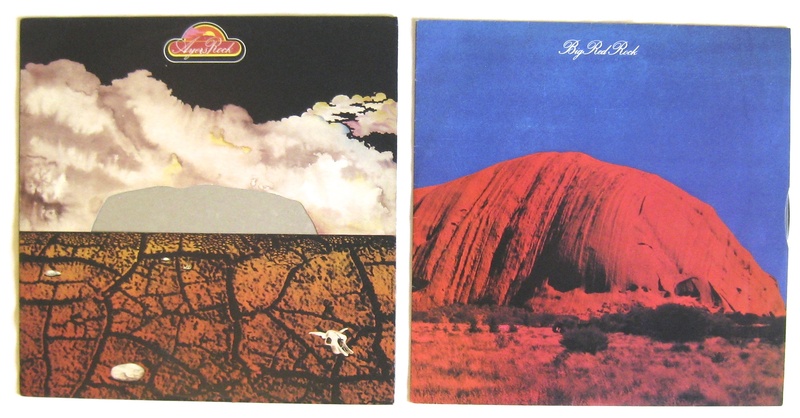 Not that I had been to Uluru – still haven’t I’m sorry to say– but it was so palpably Australian. Odd how a boy from the endless suburbs could be somehow moved by a harsh Australian outback that he had experienced only on television or through stories. Maybe that is what makes images iconic: the ability to evoke a response beyond current experience, to spark a connection not consciously understood or necessarily sought, but none-the-less felt. The fact that the rock itself could be removed from the arid setting of the outer sleeve was a source of fascination and frustration. 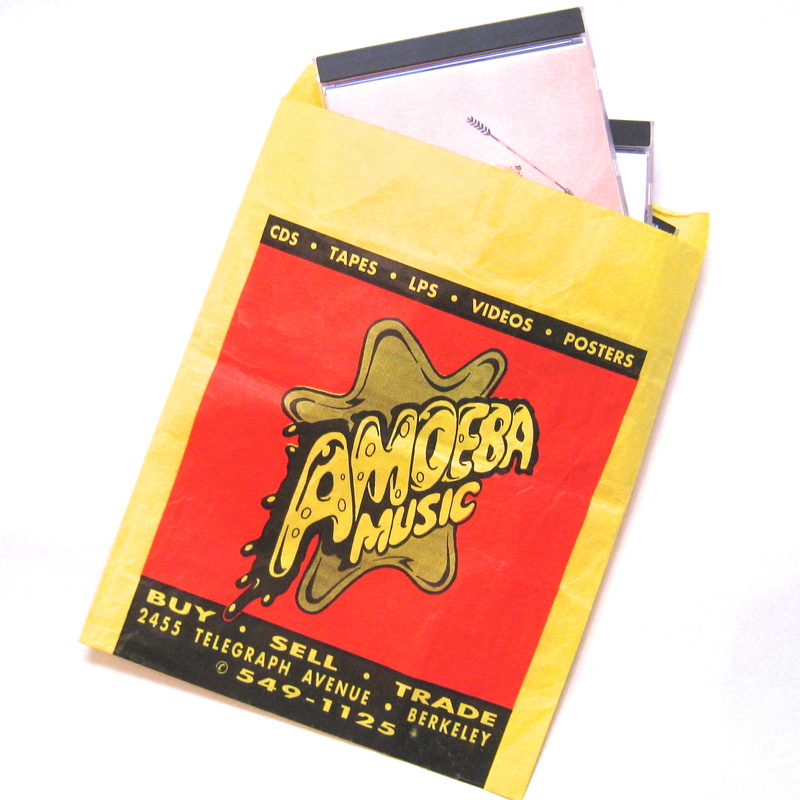 Why was the inner sleeve image different in shape and perspective from the silhouette shape of the front cover? Was it a comment on the gap between expectation and actuality? The sense of place that blew down from the outback to the suburbs like a hot desert wind is certainly not unique to “Big Red Rock”. Add a different image and you get a different trip. 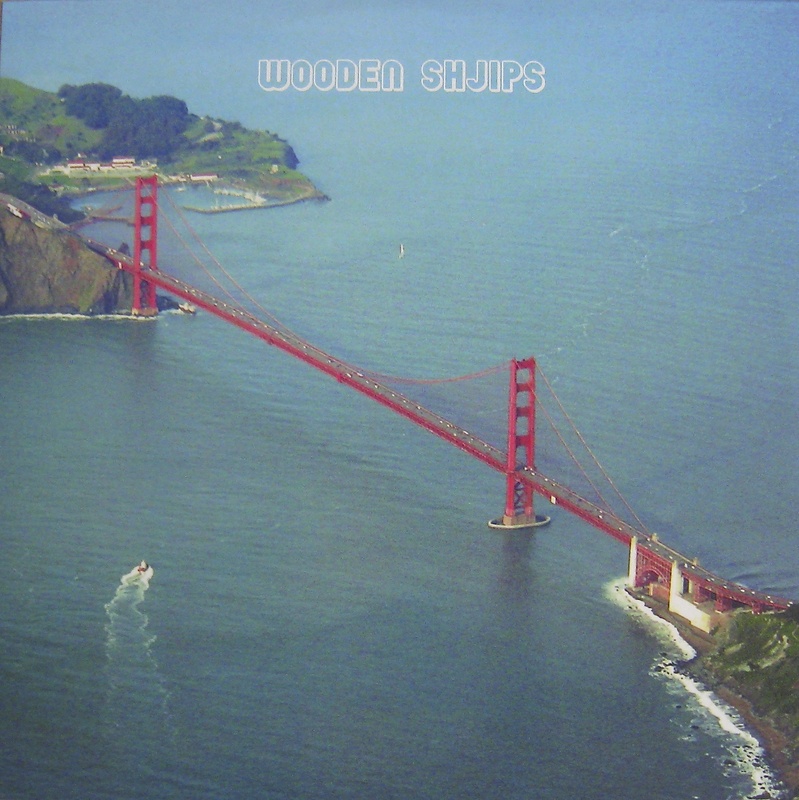 Quite recently as I sat grooving to the psychedelic jams of Wooden Shjips I was seized by an intense desire to visit San Francisco and enjoy in person the bridges and the bay. And that day-dream flowed seamlessly into a reminisce about visiting SF years ago for an appetite-whetting few days. Though it was a very short visit I managed to gather intelligence to the effect that the area around the University of California’s Berkeley campus was well supplied with music stores. With the bus journey across the bay munching up a goodly chunk of the available time and a quick visit to the attractive campus ticked off (it’s not just music, you know) it was with some urgency in my step that I headed towards Telegraph Avenue, hungry for a music hit. In the end I ventured into just one of the numerous stores on offer. In Amoeba I bought a swag of CDs and fell in love. It was not reciprocated. The warmth of an early autumn afternoon notwithstanding, she remained unattainably cool and utterly Californian, politely bemused by this odd Aussie lurching back and forwards between racks and counter with a series of daft, hesitant questions. But that’s real travel, isn’t it? Not all yearnings are fulfilled and it’s not always like the record cover. If you have just stumbled across Vinyl Connection, feel free to wander back and forth through the articles. Comments are always welcome.